The beginning of October sees the start of the 2018 pheasant shooting season as many of us will know as we dodge the young birds on the surrounding roads! 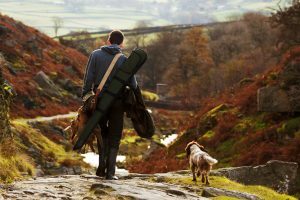 Indeed the partridge season is already underway and Exmoor is renowned for its many varied and challenging shoots – North Molton shoot, Castle Hill shoot, Molland, Challacombe and Chargot to mention a few. Exmoor is the Uk’s undisputed home of high bird shooting challenging even the best shot and in recent years there has been a substantial increase in the shooting of pheasant and partridges on Exmoor. With its open countryside, rolling hills and steep valleys it provides an ideal landscape and many people now enjoy this activity; it gives access to the countryside and makes a substantial contribution to the rural economy. 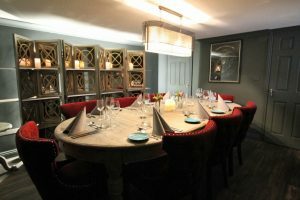 The Ginger Peanut is able to offer an ideal private dining solution for shoot parties – either in our private dining room which can seat eight to ten people, or indeed, in part of the restaurant if numbers are greater. Our bespoke menus and fine wines can accommodate all tastes and preferences for shoot parties. We also have five luxury ensuite rooms just a short walk upstairs and with further accommodation in nearby B&Bs, we can help you accommodate your shoot party. Our ever so comfy bedrooms are beautifully appointed and extremely welcoming and comfortable so providing a great place to eat combined with a great place to stay – in other words, a restaurant with rooms! Please contact us for further information and sample menus. We would be delighted to accommodate your shoot party in of our dining areas.